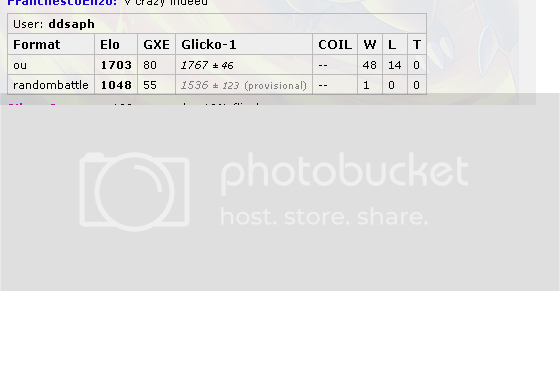 Discussion in 'Pokémon Guilds' started by The DragonKnight, Apr 3, 2014. Blackthorn City. The location of Johto's Dragon Gym, led by Clair. You might think that is all Blackthorn City has to hold, but it's not. Dragon's Den resides in Blackthorn City, hidden away inside a mountain, where only few are allowed. Dragon's Den holds many secrets. It is the home of the Dragons. 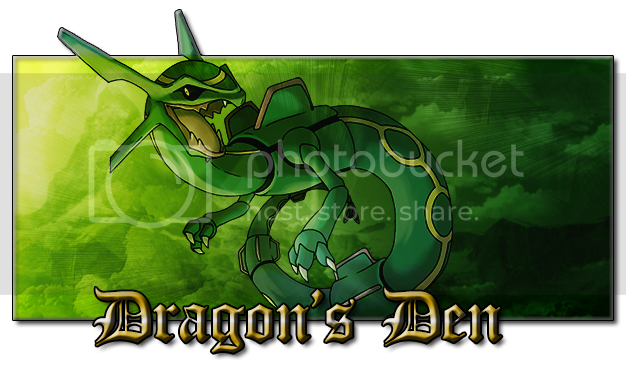 Inside Dragon's Den is a large society of people and Pokemon, all there for the same reason. Each and every individual works to defend Kanto and Johto from criminals and anyone who might deal it harm. The Guild that is Dragon's Den also strive to improve in combat. Pokemon and person alike battle to improve one another. The types of battles vary, from hand-to-hand combat to a dual of wits. The Home of the Dragons. Use the signup form. Do not post in this thread saying 'joining' or anything of the sort. If you want to join, fill out the form. We won't take a minute out of our lives if you won't take thirty seconds out of yours for us. Don't spam the thread. Spam in Guilds is asking for a battle or discussing a trade with another Guildmate in the thread. If it's not more than ten words long, most likely you shouldn't post it. There are some cases where short posts are alright, and you will probably get a feel for how and when a post is spam or not after you've been around for a while. The xat, the forum, and VMs are here to prevent spam; use them. If you have a problem with anyone at all, including xat moderators, leaders, or even myself, please message (PM/PC) a Leader about it, DO NOT post about it anywhere else, including xat. If you join the Guild, you are expected to make a post every month at minimum, unless you alert a Leader you will be absent. You should be capable of taking a minute out of your time to log in, find the thread, post 'Activity Post', and log out. If you are inactive for a month, you have a week to post, or you will be removed from the Guild. You are allowed to rejoin if you are removed for inactivity. If you leave Dragon's Den and later decide to rejoin, you will have your rank and points back. Should you leave twice, you must start from the first rank, be rested, and regain your lost points. Don't be stupid. We want our Guild to be well known for good reasons, not for negative reasons. 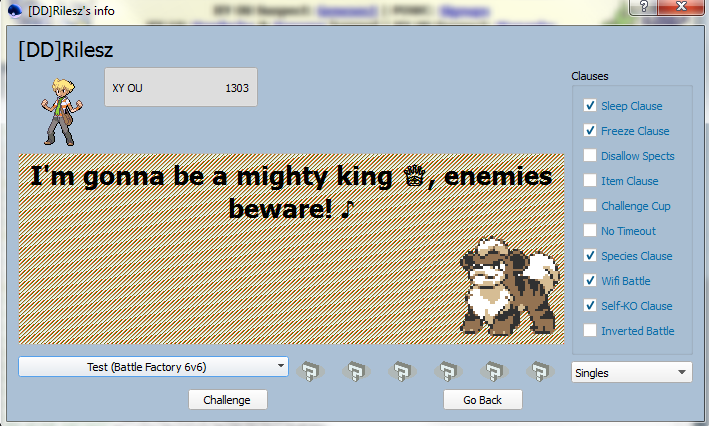 If you are a poor presence on the thread or xat, you might get warned to stop. You might just get banned for a short period of time. 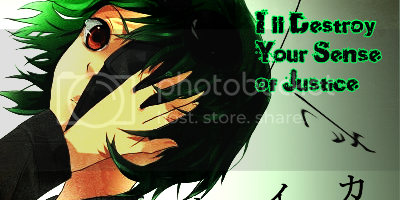 Decisions are at discretion of xat moderators or Leaders. Do not argue if you or someone else gets banned, it won't help. Leaders will lead. All of their decisions are final, do not criticize them for their decisions. Respect them and they will respect you. Do not post replays or reveal teams in the thread unless your opponent agrees that it is okay. If they say one time it is okay, that doesn't mean you can post it all the time, unless they specifically say that. Use the Battle Form when posting battles, don't say "I beat The DragonKnight, give me my points." You will not get any points for posting a battle without the Reflection form. Each person in the Guild starts from the bottom, and works their way up in the Guild by gaining points. Points can be gained in many different ways, the most common is through combat. Winning a battle gains you ten points, but participating in a battle gives you one point. To rank up, you must have so many points, and then spend your points to rank up to that rank. Say I have 500 points and want to rank up to the Rising Trainer rank, then I will spend all of my 500 points to get that rank. You can not skip ranks. So if you have 1000, but you're in Youngblood, you can't jump to Dragon Tamer. "You know that dragons are mythical Pokémon! They’re hard to catch and raise, but their powers are superior! They’re virtually indestructible! Well, are you ready to lose?" 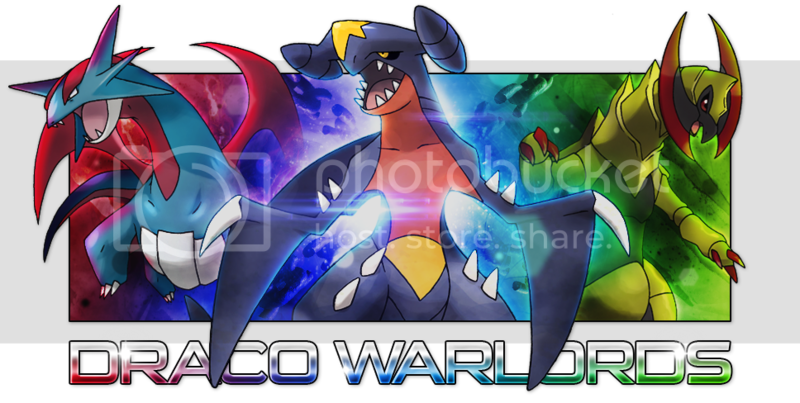 Credits to Sworn Metalhead for the War Team Banner. These Achievements will be an alternative way to earn points. You MUST use a tagged alt in order to receive points for fulfilling an achievement. You don't have to use your forum name, but you must include our guild initials, DD. Vote on a tier that you would be interested in building a team in. The choices are: XY Ubers, XY OU, XY UU, XY LU, and XY LC. 2. Nomination of 1st pokemon. In order to get the team started, we must have a pokemon or idea to base the team around. Nominate a set that you think would be enjoyable to use and competitively viable. Also, make sure you explain your set. Avoid using gimmicks. 3. Decide what playstyle the team will be. Now that we have the 1st member of our team, we can decide what type of playstyle our team will be. Common examples are stall, balanced, and offensive. Please provide a rationale for your selection. 4. Choose the remaining 5 pokemon for the team. This is the longest phase in the CCAT, and the most important one. 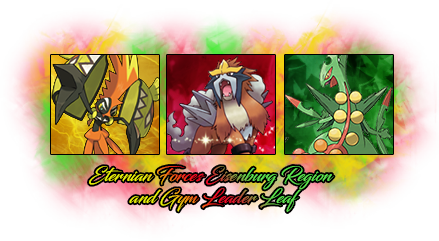 The rest of the pokemon determine how good the overall team will be, so a lot of theorymoning and deliberation will go into this step. 5. Test the team and suggest improvements. After the first draft of the team has been made, we will have a phase for open discussion of improvements. Changes will be implemented based on guild consensus. 6. Finalization of team and ladder challenge. The finished product will be displayed in the OP for everyone in the guild to use. Those who wish to participate in the ladder challenge must post the name of the alt they are going to use. In two weeks’ time, the two people with the highest score on PO and PS will be awarded 500 points. 1. Users who post troll answers will be deducted 100 points and banned from further participating in the current CCAT. While you spend your time in Dragon's Den, you will be awarded for things you do for the Guild. Things like winning battles, winning War Matches, making Art, donating Pokemon, and more. What can I do with Guild Points? With Guild points, you can rank up, request Art, or request a Pokemon from the Guild Shop. Each area has different costs for different things, so check each out if you're interested in something! 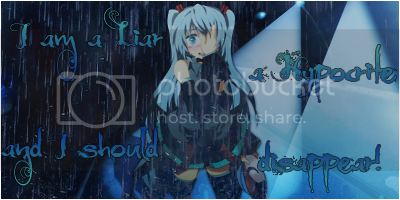 Umm banner name will be changed soon...BUT... 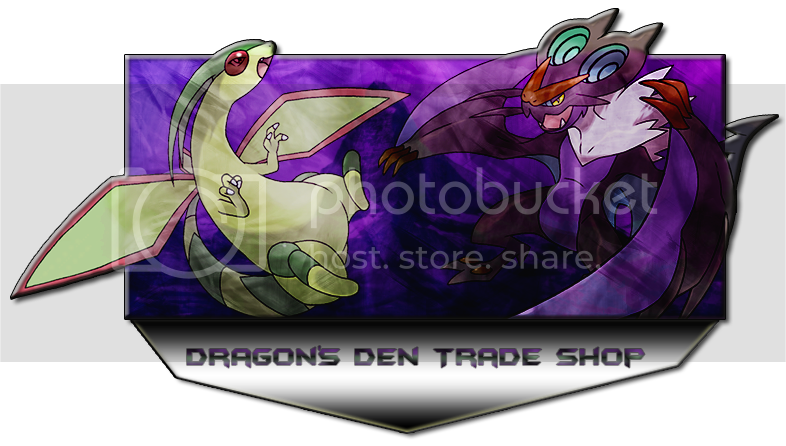 Welcome to Dragon's Den point shop. Here is where you cash your shop points you got for helping members, and etc. 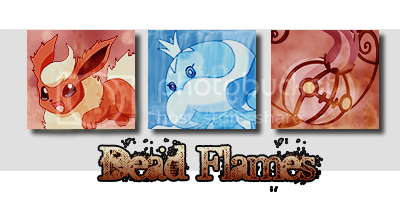 The shop normally includes alot of rnged pokemon,items, The shop will be updated if new members want to add more stuff to the shop. Now remember the shop needs good items and good pokemon. We want to make sure that we have good pokemon and items in the shop for out wifi players. 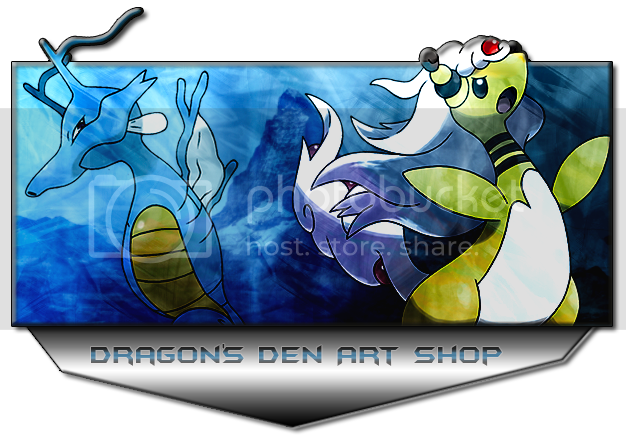 Welcome to Dragon's Den Art Shop! Here you can purchase artwork from our members with points. Each piece of art costs a different amount of points. Artists also get points for making art for others. Do not request art and never use it. Do not use art and not credit it. Do not complain about not getting the art right away. If you would like to become a Guild Artist, PM both The DragonKnight and FairyWitch some of your work. Razor Leafeon The Shadow Remains Cast! Competitive Experience: A fair amount. Note: I had to remove AC from my SD card, so I cannot play online. However, feel free to visit my Dream Town. Old School Love PO's Best Closer.